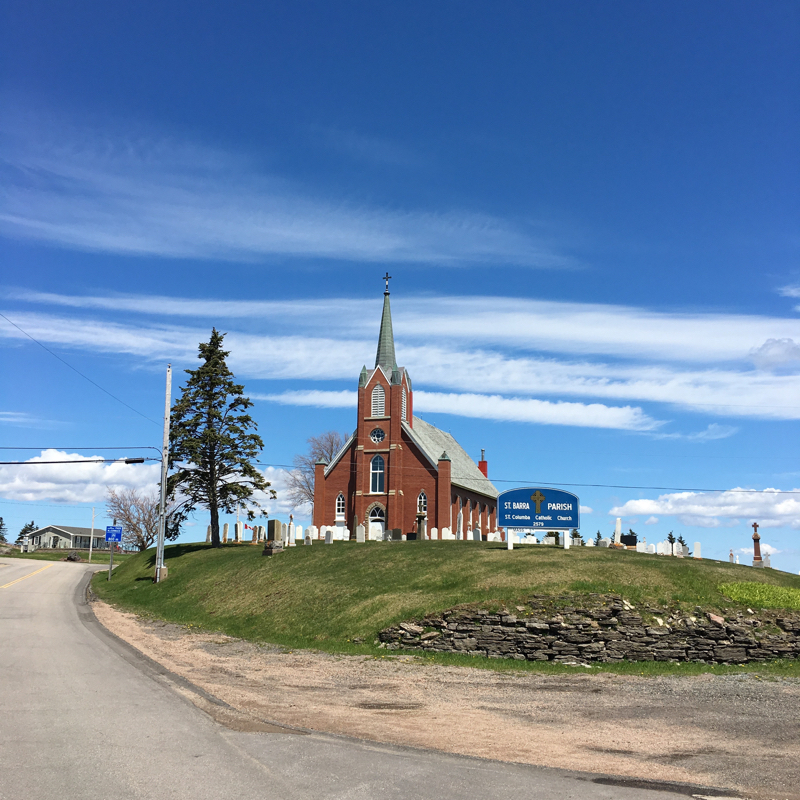 After two weeks of adventures in Newfoundland (Week 13, Week 14), I was back in mainland Canada in Cape Breton. 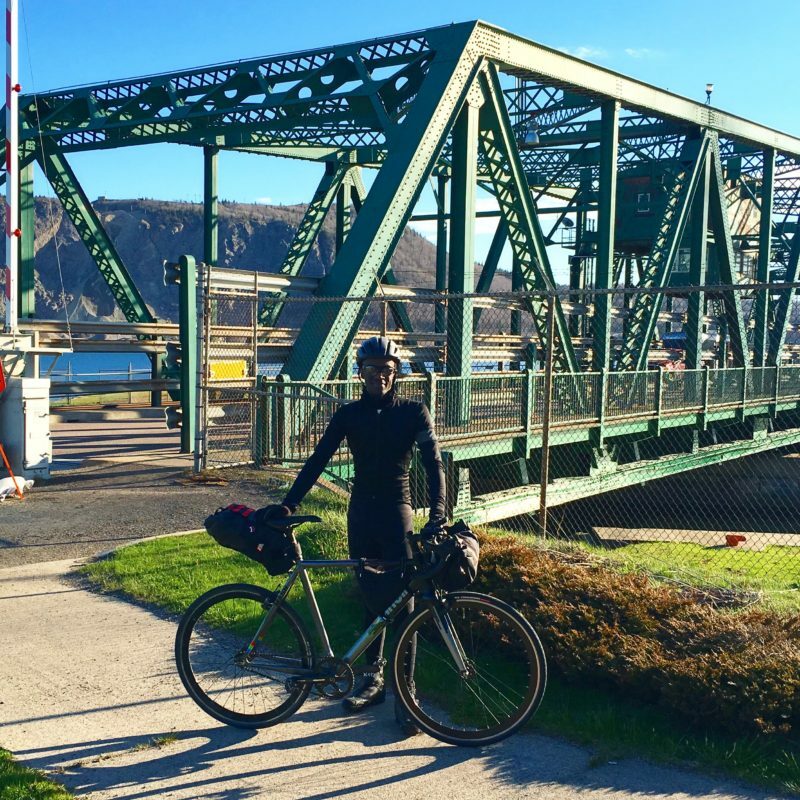 That meant that it was part II of The Big Journey, a bicycle trip that will take me from the Atlantic Ocean to the Pacific Ocean. 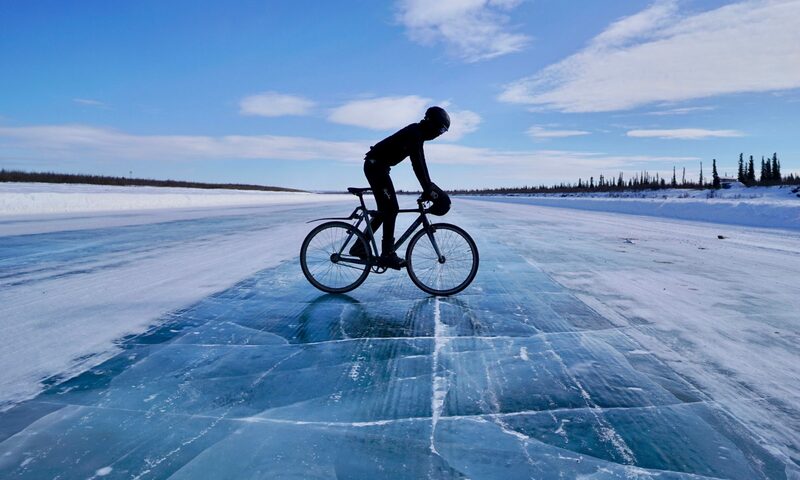 This will be the longest leg of the Guinness World Record attempt as I will aim to cycle 10 000 km from the East coast to the West coast. 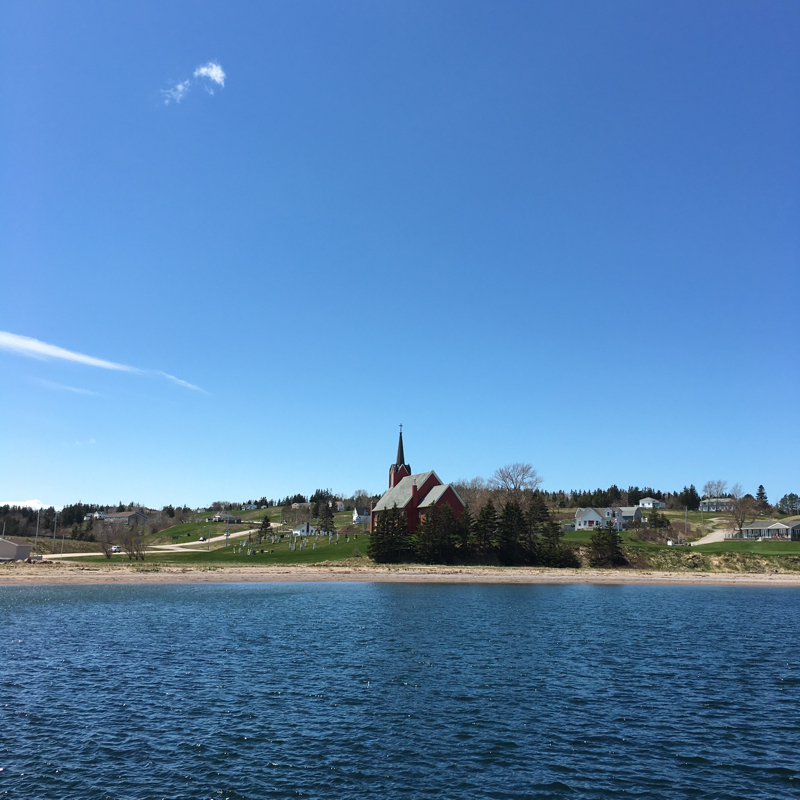 With that in mind, on Wednesday May 18th, I left Sydney, Nova Scotia towards Antigonish, Nova Scotia. 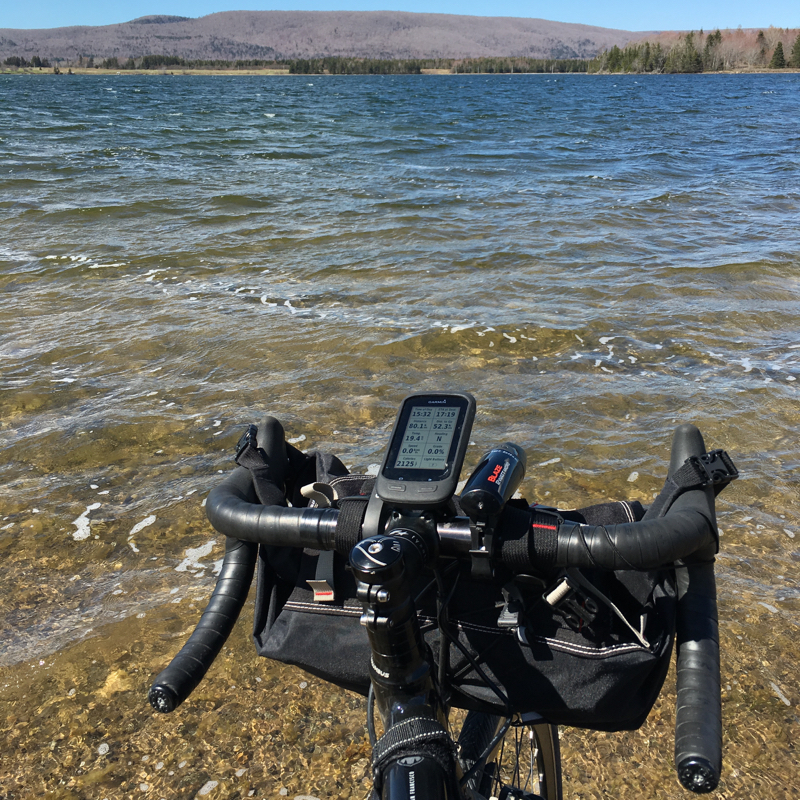 It was quite a beautiful day to ride and quite a scenic road that reminded me how splendid Nova Scotia can be. 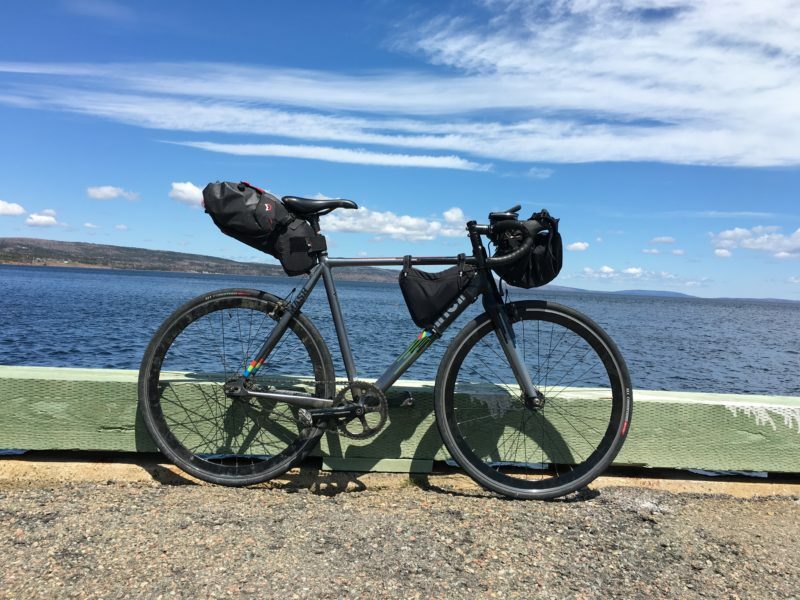 I was not able to get to Antigonish, a 200km ride so I stopped halfway just before leaving Cape Breton, the island region of Nova Scotia. 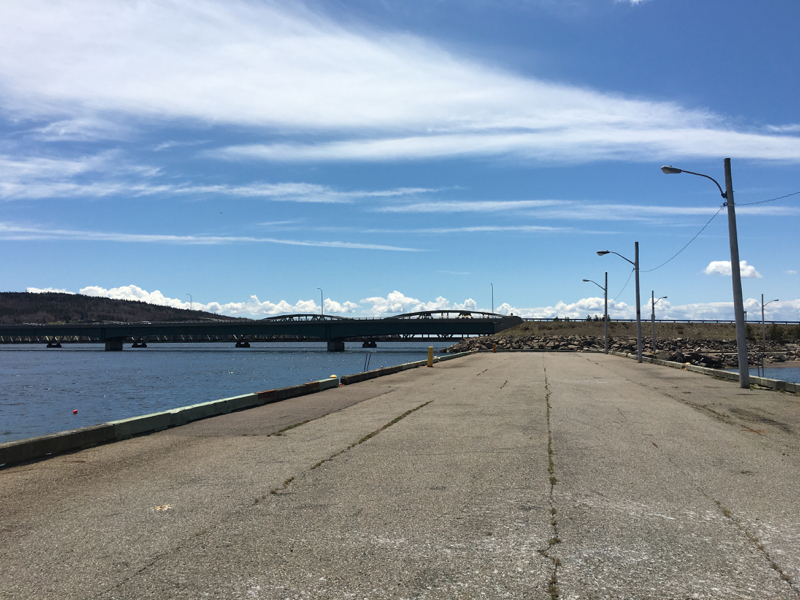 Almost a month later, I took the same photo leaving crossing that bridge on my way out of Cape Breton. 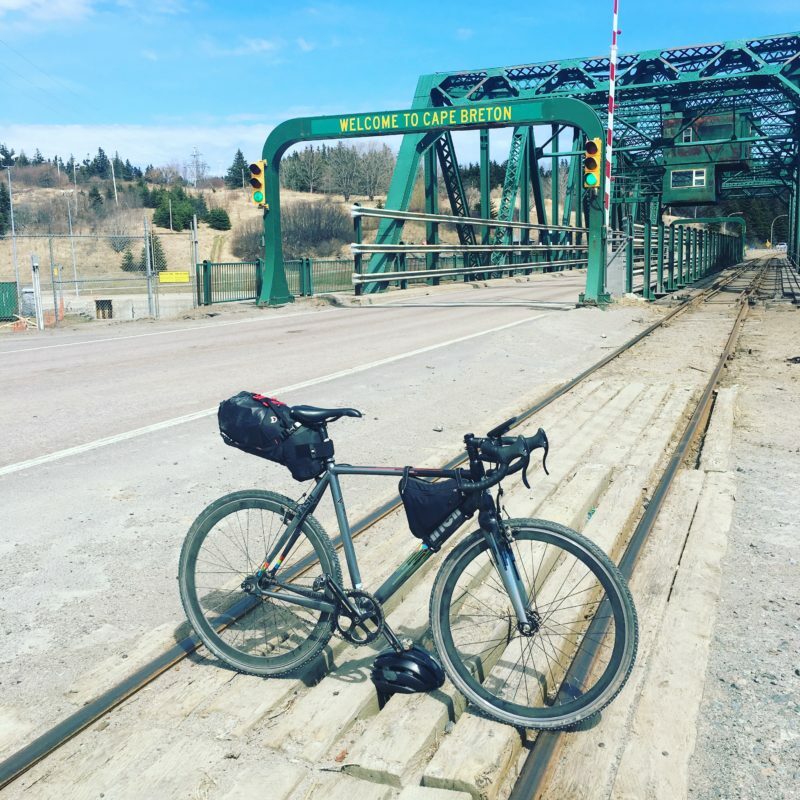 The ride to Antigonish was fast as I just took the highway instead of cycling through the backroads that had almost killed me with hills on my way East. 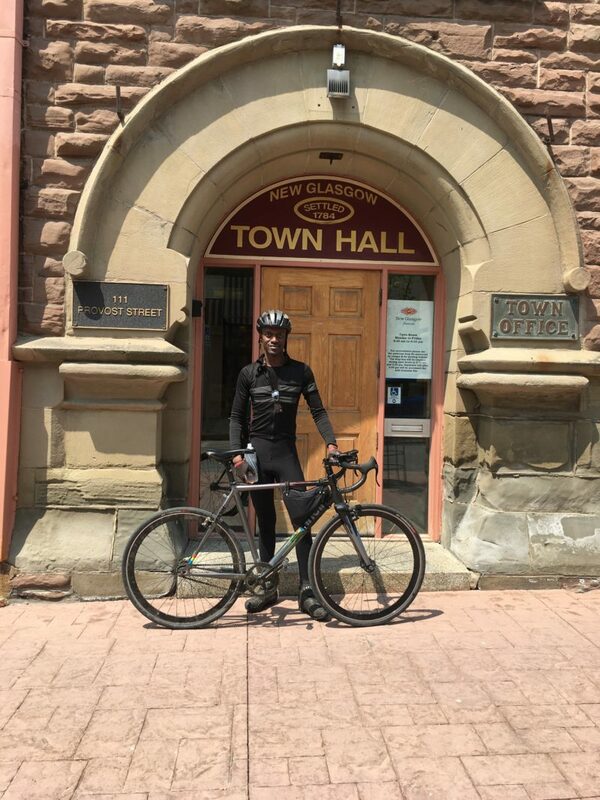 I was in good spirits when I got to Antigonish since the ride was pretty short and I was going all out. You may notice how warmly dressed I am. 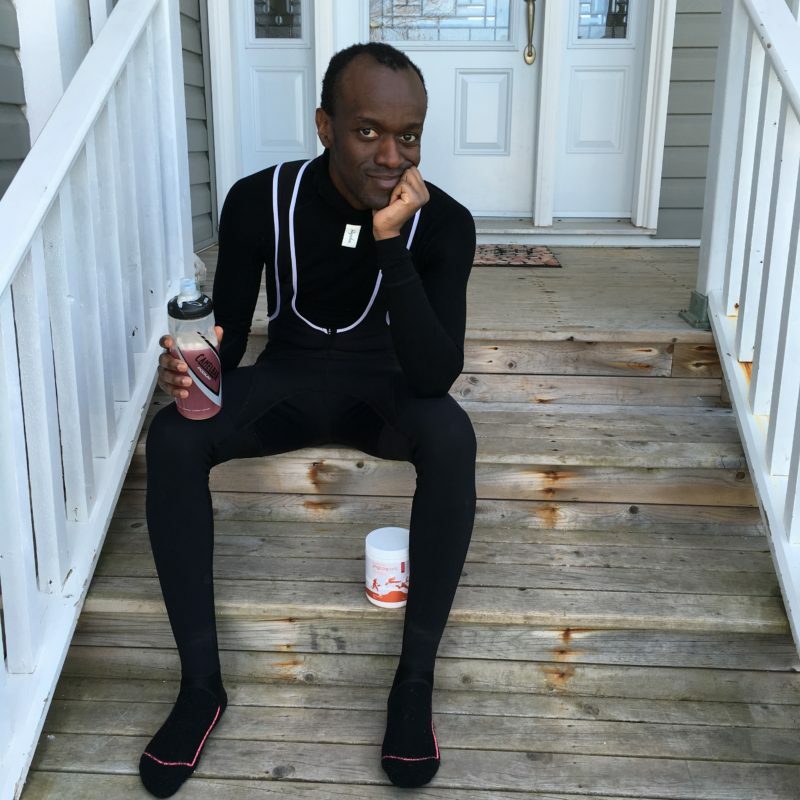 Even if the temperatures were above freezing, it still not warm enough for me to cycle in shorts and short sleeve shirts because the wind is tends to cool things quite a lot. 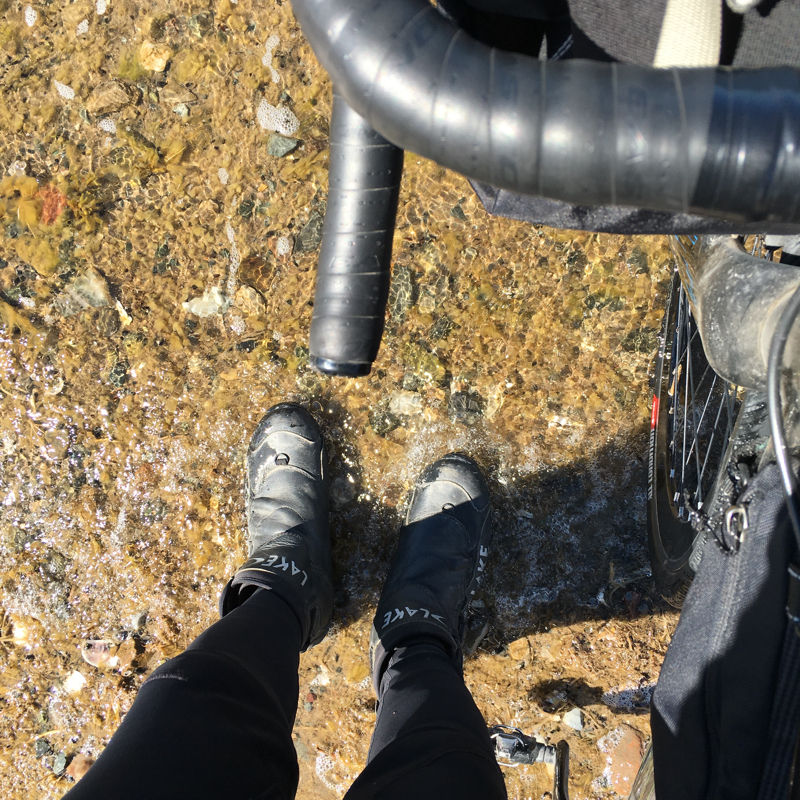 The next morning, I decided not to ride and take it easy as my hosts actually wanted to stick around to the weekend as they were having a house warming party. 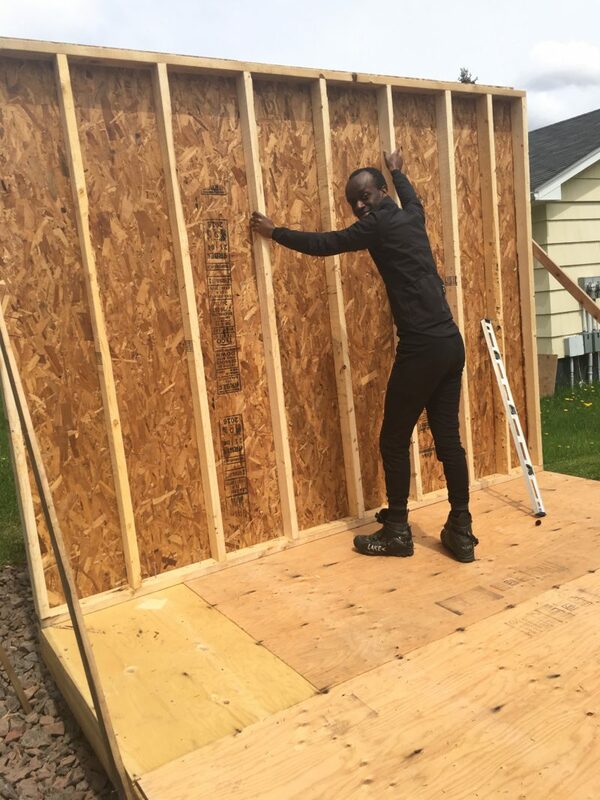 So I helped out with some shed building. Yes, in my cycling clothes because I don’t have a “civilian” outfit. 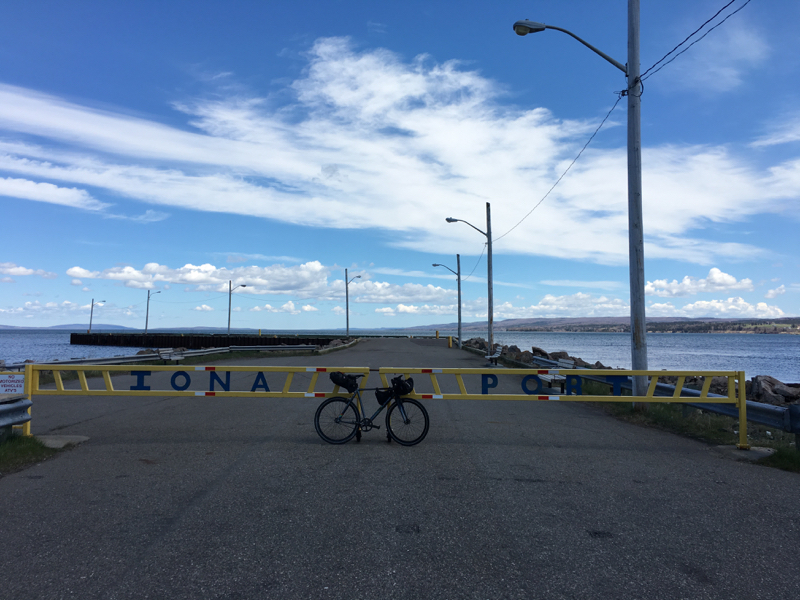 On Saturday, I cycled to New Glasgow and it was my last ride in Nova Scotia as the week after I would be headed to Prince Edward Island, an island-province north of Nova Scotia and I would get out into New Brunswick, west of it.